in harmony small things grow. We are a community of consecrated laymen who as religious Brothers participate in the Roman Catholic Church’s mission of evangelization. Founded in Belgium by Theodore James Ryken in 1839 to be missionaries, we have been educators in the United States since 1854. 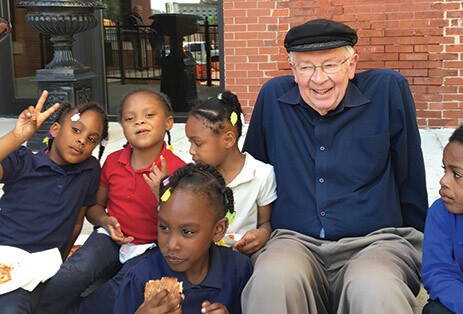 Our ministry in the US includes 13 Xaverian Brothers Sponsored Schools, as well as many activities of our Brothers in direct service to refugees, prisoners, adult education, and the homeless. 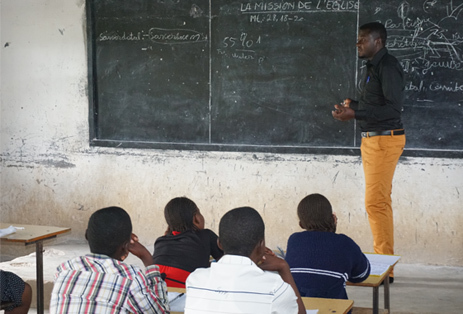 We have expanded our ministry work among the poor in Kenya, the Democratic Republic of Congo, and Haiti, while continuing our historic connection with schools in Belgium and the UK. Following the advice of our Founder, Brother Theodore James Ryken, we “march on in faith” knowing that God will provide. The Xaverian Mission touches the lives of the most needy people wherever the Brothers serve. The Xaverian Brothers have been working in East Africa for over 70 years and have communities in Nairobi, western Kenya, and the Turkana Desert. The Ryken Centre for Hope, in Bungoma, houses boys ages 8-14 who have been orphaned or abandoned by their families. The focus of the center is rehabilitation. 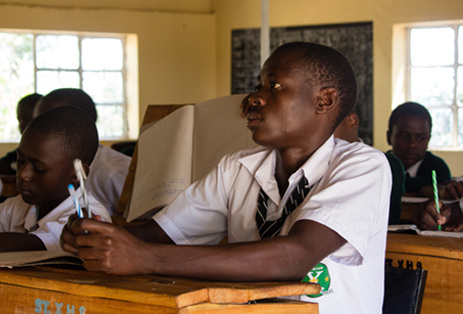 In 2018, the Xaverian Brothers opened St. Xavier High School, an all-boys secondary school in Bungoma. The Xaverian Brothers have ministered in this very harsh region of Kenya, in the Diocese of Lodwar, for over 40 years. Our Brothers oversee St. James Secondary School, a minor seminary preparing young men to serve as future priests, consecrated religious, as well as committed lay leaders for this desolate and often forgotten section of Kenya. Our Belgian confreres began missionary work in Congo over 85 years ago. Today we have communities of Brothers in Likasi, Lubumbashi, Kasenga, Kipushi, and Fungurume. We operate a number of primary and secondary schools in Likasi and are currently in the process of constructing a new primary school. In addition, we also operate two social service agencies, the Good Shepherd home (Bon Berger) for homeless young men in Lubumbashi and the Frère Georges center that provides employment skills for young women. In Kasenga, a remote village in southeastern Congo along the border that separates Congo and Zambia, we oversee a primary school and secondary school and are also involved in youth ministry in the diocese. In Kipushi, we operate our novitiate and also provide leadership to a diocesan secondary school. In Fungurume, our Brothers oversee the Catholic education of a number of primary and secondary schools operated for families of miners. Our Brothers also continue the work of co-operatives started over 50 years ago by Brother Joris of Belgium. Brothers Joseph Ngoie, Vincent Ilunga, and Adolph Kabulo live on the outskirts of Port-au-Prince and oversee Sant Zaveryen. This program provides housing for young men studying at nearby universities and professional schools. Brother Bill Griffin, from the United States, teaches English as a second, third or fourth language to over 300 students each week at St. Gabriel School in Fontaine, Haiti. St. Gabriel’s was founded by an alumnus of the Sant Zaveryen, who took the message of service he learned and the gift he was given at the Sant to reach out to others. 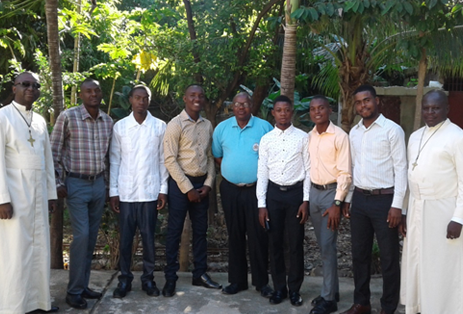 In the United States, our Brothers are working and volunteering in a variety of ministries. In several regions in the US our Brothers are reaching out to marginalized peoples by volunteering in soup kitchens, prison ministry, programs that help vulnerable children, and programs for immigrants, including teaching English as a second language and preparing them for the citizenship exam. 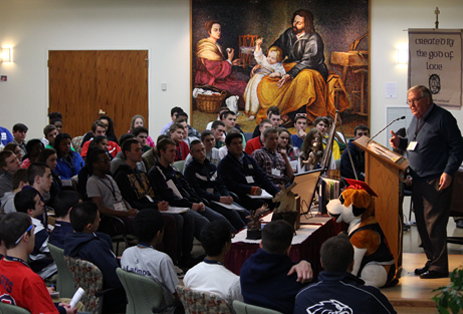 A number of Brothers also teach, coach, tutor, or are members of the administration at Xaverian Brothers Sponsored Schools in Maryland, Kentucky, New York, Connecticut, and Massachusetts. Our Brothers are also serving the mission of the Congregation through their work caring for our aged and infirm Brothers, or ministering at our Generalate. Our XBSS Office is responsible for keeping our Xaverian spirit and ministry alive through annual retreats, orientation programs for new faculty and board members, annual meetings of administrators, faculty leaders and board members, and many other services. The thirteen schools currently include over 13,000 students and their families, 1,000 faculty, staff and administrators, and 300 trustees. The XBSS Office provides services to the schools operating out of a sense of Gospel mission that is reflected in the mission of the Church and of the Xaverian Brothers. The XBSS Office exercises a strategic perspective by providing collaborative, flexible, and futuristic planning which preserves, protects, and enhances the Xaverian educational tradition while addressing the evolving needs of the sponsored schools. Orientation programs for new faculty and board members, annual meetings of administrators, faculty leaders and board members, a student leadership retreat, and other activities provide ongoing formation for all members of the XBSS community.